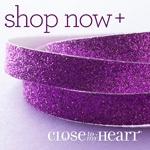 Join Close To My Heart WWStampettes Team TODAY!!! When you join the Close To My Heart family between November 1 and December 15 and submit qualifying personal sales,* you’ll receive a stunning new product, the Picture My Life™ scrapbooking program—FREE! Be sure to share this great deal with your friends – This is an awesome product and incentive for new consultants!! If you use Project Life, this will allow you to get a discount on the materials you use for your albums! !